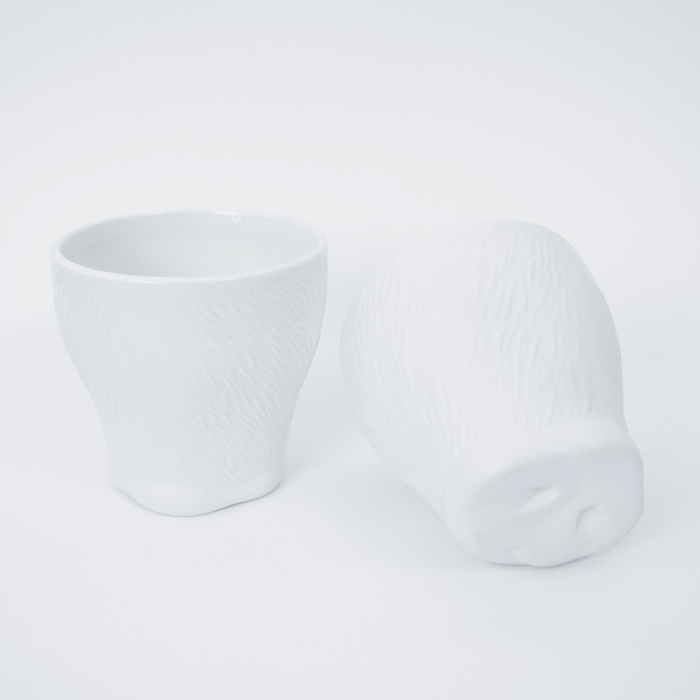 These snoutcups aren’t ordinary cups. They are a bit evil. Unseen they play a game with you. 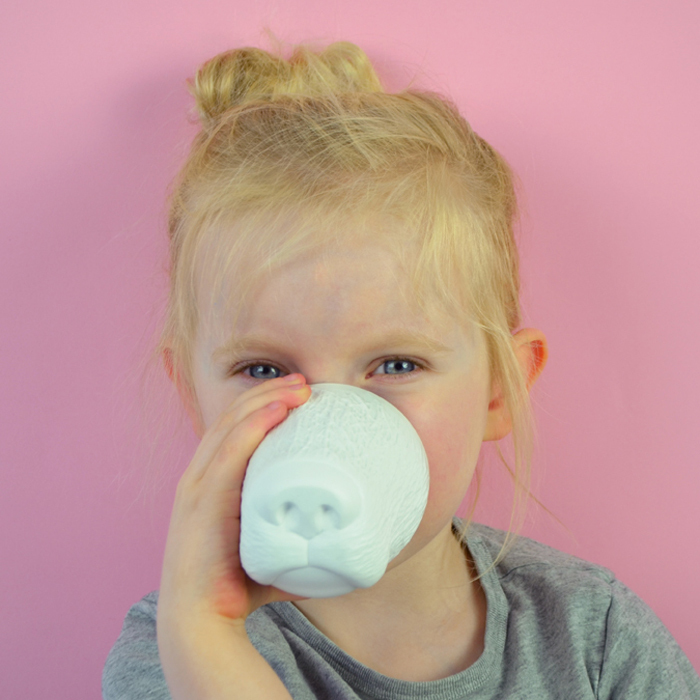 Giving you a funny face of a piggy, dog or a bear while you drink your tea. You won’t notice it until people around you start to chuckle. We think design doesn’t necessarily have to be serious. Putting a smile on peoples face with our products is a very valuable thing for us. 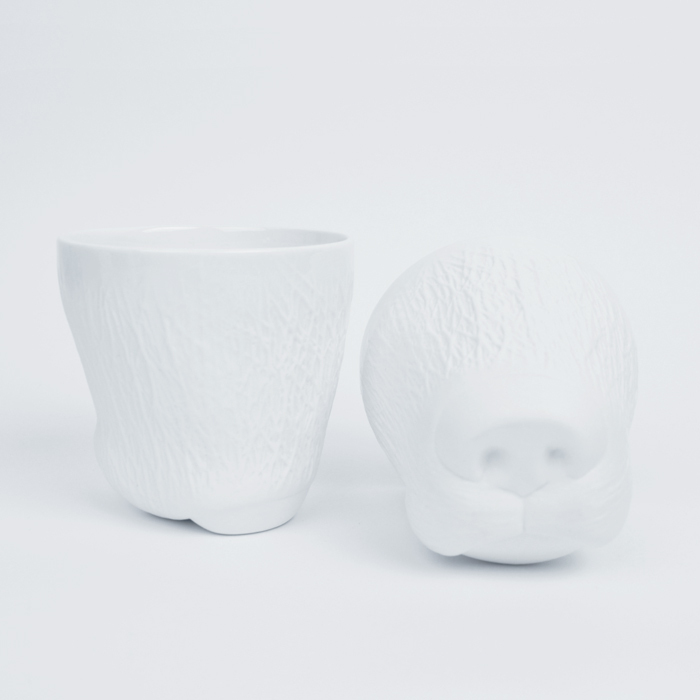 The pig and dog snoutcups are part of the Bitten-design collection. 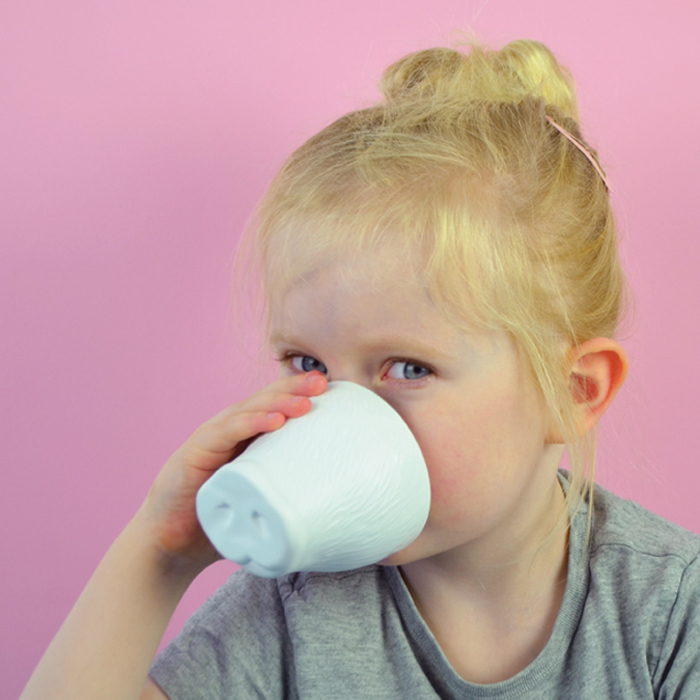 The cups are made out of high quality porcelain. They are glazed inside and on the outer rim. The cups are dishwasher save.